Don't Panic! 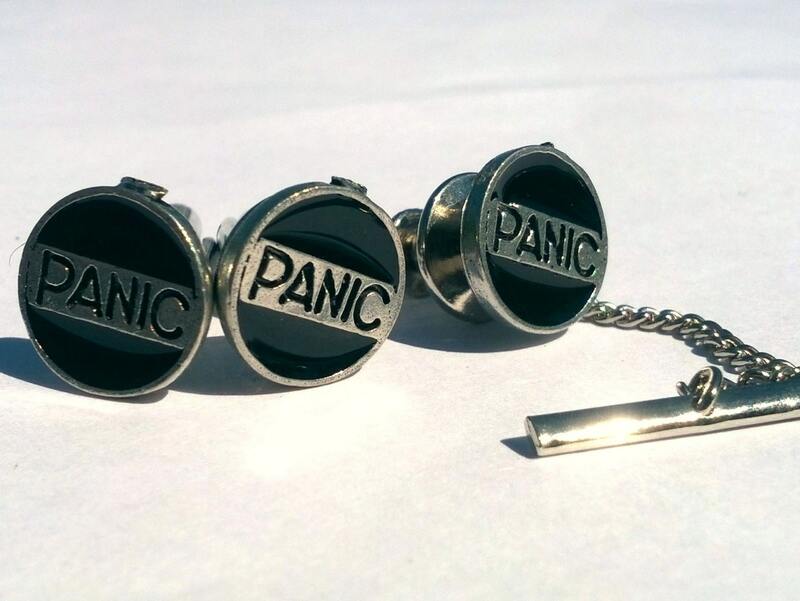 Secure your tie and cuffs uniquely using this set of cuff links with black enamel and antiqued silver panic button charms. This set is a favorite to inject a little quiet comic relief to weddings. The diameter of each panic button is 3/8" (1.2 cm). Check out the coordinating accessories in my Etsy shop. This item ships free with any other item in my shop. See something you like, but you'd like it different? See something I've sold and want a similar one? Want something completely different that I could make? Go ahead and ask, I do custom orders for accessories.